Quick summary:﻿﻿﻿﻿﻿ This is a modern wireless monitor that is designed to remotely monitor your baby with ease. And the coolest thing about the monitor is the remote temperature sensor that records and displays the room's temperature so you can know when it gets too uncomfortable for the baby and respond accordingly. Read my Motorola MBP33 review to find out more. Night vision cameras allowing viewing of the baby whether there's light or not. Data encryption that ensures security from signal interception. Two-way communication that allows you talk or even sing to the baby. It lacks a" mute " function which makes it hard to use in rooms where total silence is needed. The camera doesn't tilt or rotate which makes it hard to operate or put in preferred position. This product encrypts the data it transmits for added security. It means no one else can listen to the communication except your gadget units. It also ensures no outsider can tamper with the signals. 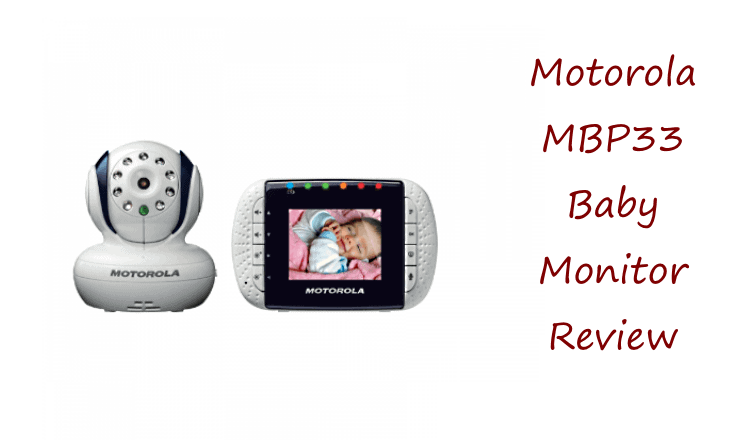 The monitor automatically sings to your baby to soothe him to sleep. It's very convenient for mothers because it does everything for them to make the baby sleep. In fact, it will get your baby who has just woken up to go back to sleep without you intervening; it's all automatic. And the voice is almost human-like, and the baby will love it. The remote temperature sensor is so accurate you can rely on its readings to make decisions. It tells you when it is too hot or too cold as to be uncomfortable to the baby. The monitor also has a built-in alarm, that ensures you don't go too far. Once you are out of a 200 meters range, an alarm will sound to warn you just before the signal gets cut off. One of the negatives that people reported back is its lack of the mute function. Although you have the ability to adjust the volume for up to eight levels, this one lacks the mute option, which could be a nuisance when seeking to use it a noise-sensitive room. Adjusting the volume to the lowest level would help to minimize this noise effect. The fact that the cameras can't rotate is also a major concern because sometimes you want to change the direction it faces and with ease. However, you can avoid having to do this by mounting the cameras where they capture the whole room in the initial setup. Customers rate it highly for its video quality especially the night vision picture. They vote it better compared to other monitors they have used before. And the sound quality too; very clear allowing you to hear every noise the baby makes. The only drawback with the sound system they report is the inability to shut it down completely, having to bear listening, for example, to your baby cry loudly unless you turn everything off including video. Another feature people who have used it find outstanding is the remote temperature sensor incorporated in the monitor. Parents who have reviewed it express satisfaction and think it's a necessary and useful add-on. They say they no longer have to manually check the baby's room for temperature change anymore. In summary, if you are looking for a device that will offer you great features and make your parenting easy and enjoyable, this is the one to have in your house.